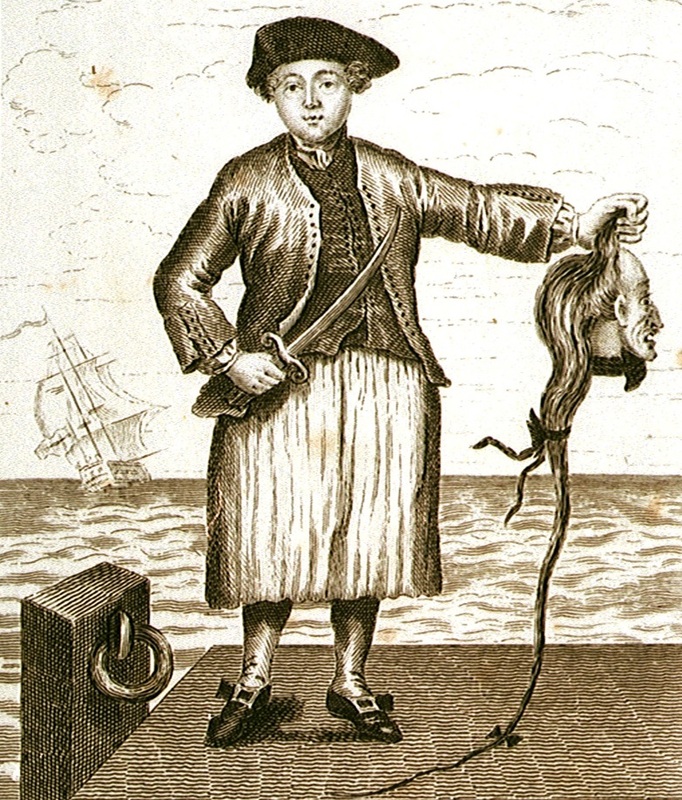 Ann Mills, Served on Board the Maidstone Frigate, R. Graves after unknown artist, original date unknown, National Maritime Museum. Ann Mills is a mystery. The only artistic depiction to survive, the one featured here, was a copy made decades after the original. Truth be told, Ann Mills may not even be a real person. Vague recollections of some action around 1740 aboard a frigate named Maidstone (there were other vessels around the 1740's named Maidstone, but no frigate) are related generations after the supposed event, and give so little detail that there is virtually no trail to follow. Mills offers us far less to go on than the famous Hannah Snell. It may be that Mills was a fiction inspired by the true life of that female marine, who fought at roughly the same time as Mills' supposed service. Thankfully, Frank Felsenstein has taken an interest in Mills, and published a short piece on gender and national conflict entitled "Unravelling Ann Mills: Some Notes on Gender Construction and Naval Heroism" in McMaster University's journal Eighteenth Century Fiction. 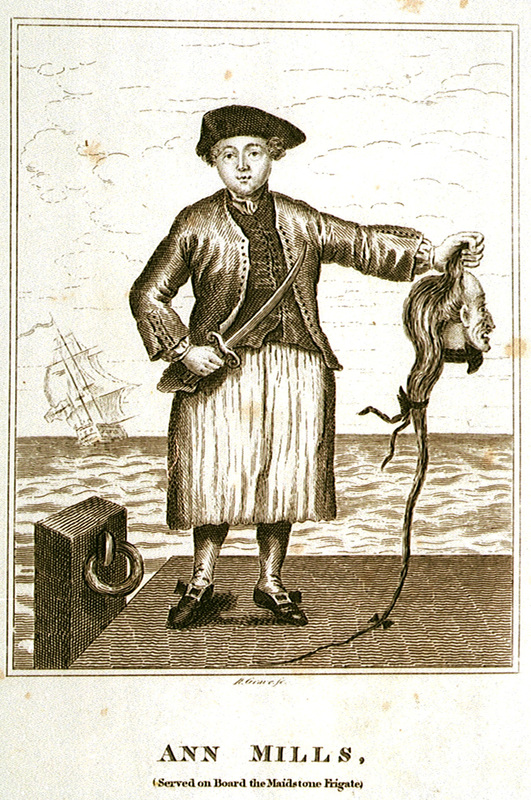 Mills wears a cocked hat with a very short brim over short curled hair. He collarless jacket is double breasted with a remarkable number of buttons on he lapels and open mariner's cuffs. He waistcoat is plain, dark, and also double breasted. A white cravat is neatly tied and tucked into the waistcoat, which hangs above the plain white slops/petticoat trousers. He white stockings run to pointed toe shoes with fanciful rectangular buckles of white metal.